Ever since I started posting more vegan recipes, like this one and this one and this one... and since I started going to the gym regularly and working out with a trainer, everyone and their mom is asking me about protein. It's kind of a taboo topic! So I thought I'd list out some of my favorite protein-packed foods with their actual protein content per serving. There's probably 1000 things to do with protein packed granola, like eat it directly from the bag, pour it over Greek yogurt, top muffins with it as a sort of streusel (I'm soooo doing that soon!! 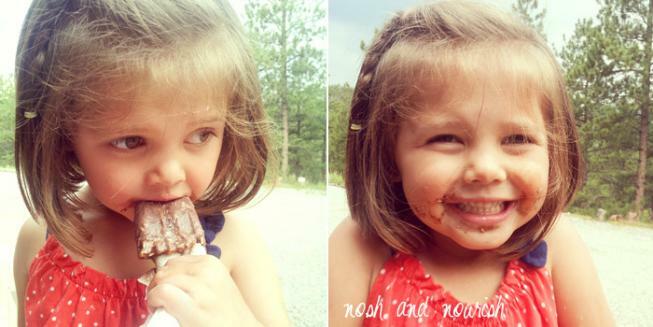 ), or add it to summer-pleasing fudgesicles. 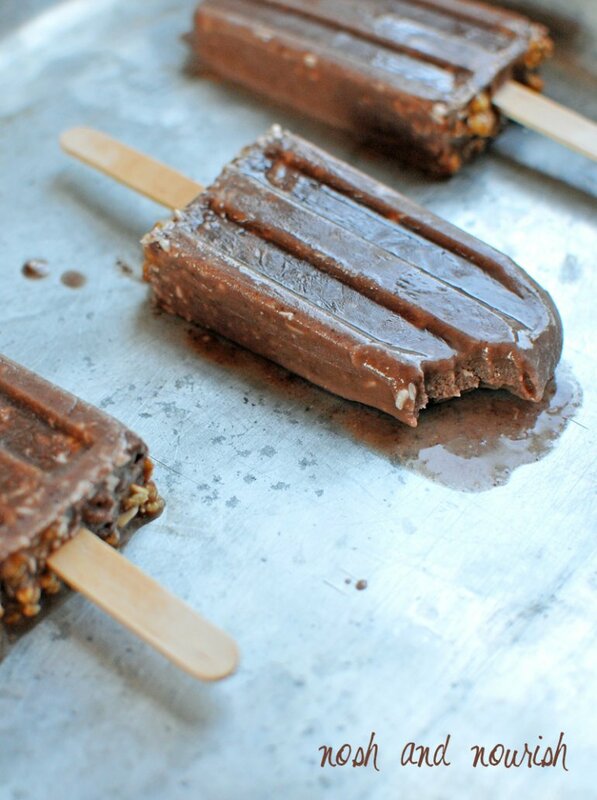 The granola is dark chocolate coconut flavor and touts its protein content, so I just amped up all those qualities in these popsicles. It's creamy chocolate is a combination of chocolate almondmilk plus canned coconut milk and tiny coconut shreds. 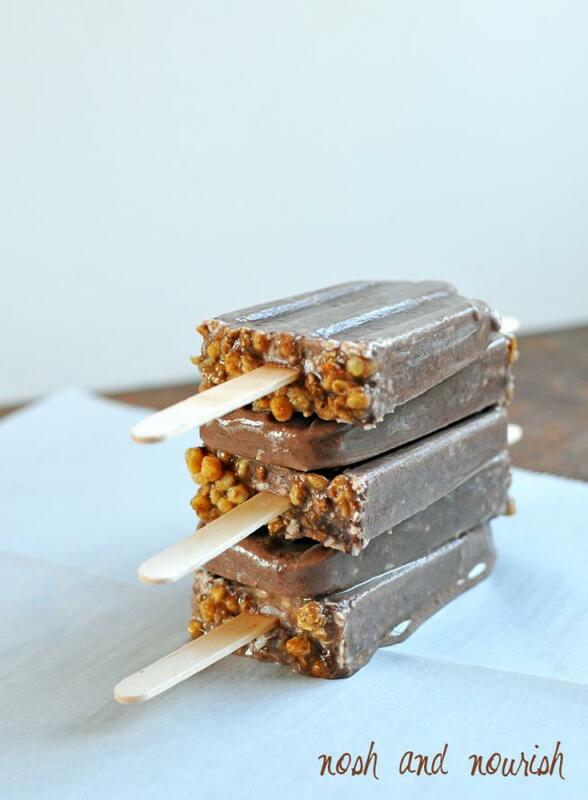 These are a great way to sneak in some extra protein in an absolutely DELICIOUS way! Babycakes devoured hers in about 2.3 seconds flat and declared it the best dessert I've ever made. And Bella interrupted my photoshoot to give her sniff of approval too, lol. Combine all ingredients except the granola in a medium mixing bowl. 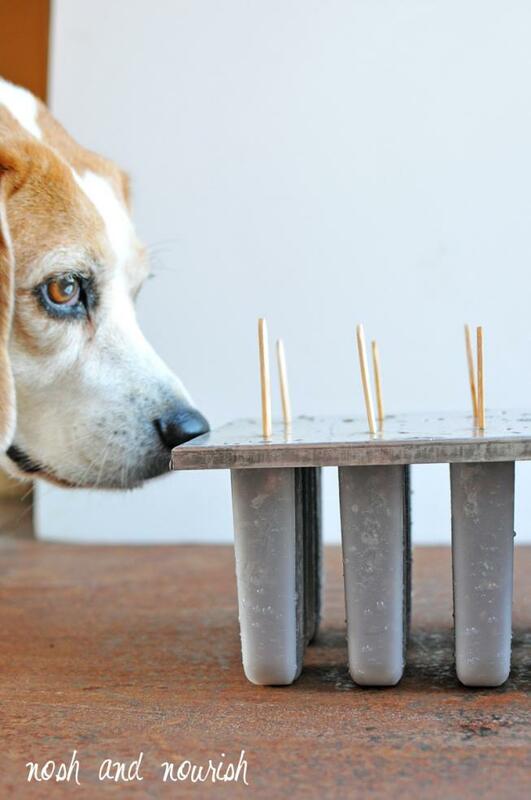 Pour equal amounts in a popsicle mold -- mine makes 10 popsicles. Leave about 1/2 inch at the top so there's room for the granola! 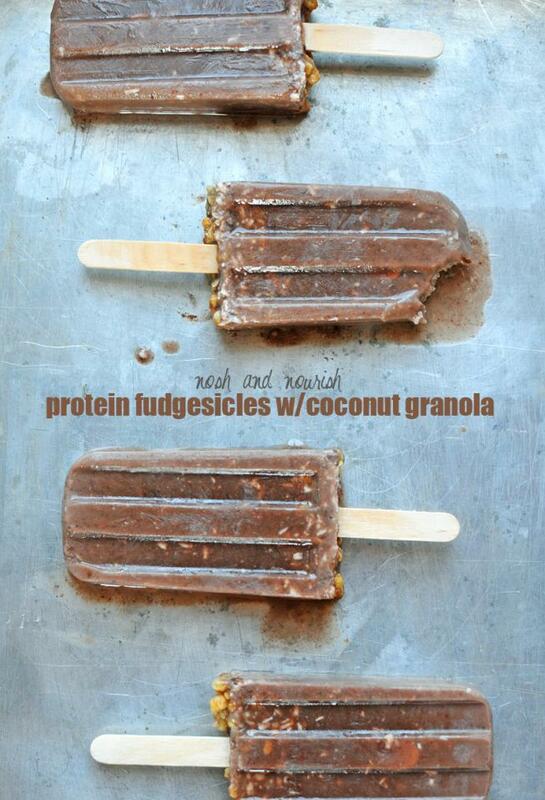 Top each fudgesicle with 1/2 tbsp of the protein granola. Gently press it down into the popsicle mold. Cover and put in the freezer for at least 3 hours.